We need your help! Thanks to our spy, Ciara Knight, we are able to communicate with you today via blogs, Facebook, Twitter and other social media. The Neumarian uprising has begun. We are fighting for freedom and equality for all, but we need your help. Ciara informed us that you might want to know more about the uprising and why we ask you to risk your lives for our cause. To answer these questions I’ve agreed to let Ciara tell my sister’s, Raeth’s, story about her captivity. It will be free for you on a site called Amazon until March 1, 2013. Our spies have told us this will help spread the word and find more recruits for our rebellion against the tyrannical queen. You can help by simply downloading a free copy of Weighted, a prequel to the Neumarian Chronicles. 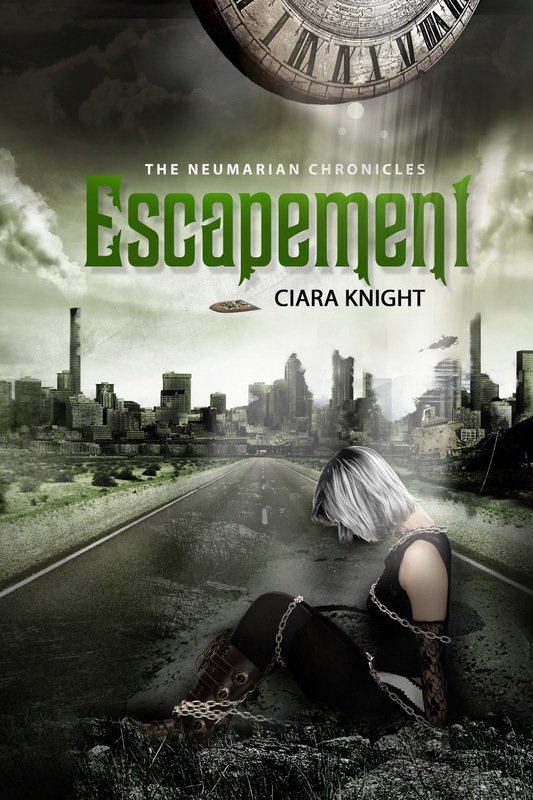 If you are intrigued and wish to follow our uprising, Escapement, book I of The Neumarian Chronicles, will be available for only $2.99 until March 1, 2013. Escapement is told by Princess Semara. Don’t hold the fact Semara is a princess against her like I did, there is more to her than you can possibly imagine. Ten years after the great war of 2185 the queen’s reign is threatened by uprisings and fear. In celebration of my sixteenth birthday it is my duty as princess to sacrifice a slave to be initiated into the ruling council, solidifying my mother’s empire. When my own erratic powers surface I’m captured and tried for treason. Slaves hate me, my mother wants me executed, and my only chance of survival rests in the hands of a young man, Ryder Arteres, whose sister I sentenced to death. --Lindi Peterson--Award winning author of Summer's Song. If you’d like to see a peek into our world, please view this short clip on You Tube. If you are now ready to join our fight, please add Escapement to your TBR shelf on Goodreads here. Shout out on all your social media sites, and tell everyone you know to stand up and fight. Escapement can be found at Amazon. 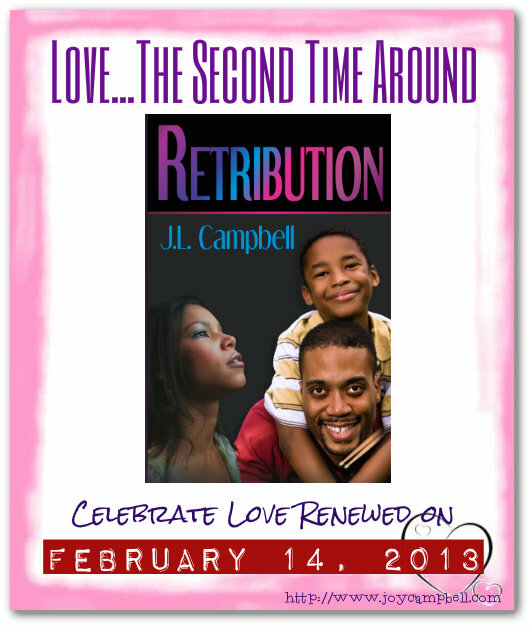 My apologies for the late posting of the results for the Love...The Second Time Around Celebration for Retribution. Mary from Travels with Mary won the Fact segment with this entry that’s an account of how she and her husband got together. Congratulation, Mary! If you have time, check out Denise Covey’s entry. She gives a fascinating account of the marriages between Richard Burton and Elizabeth Taylor. It’s complete with pictures. Check that out here. On the fiction side of things, Deniz Bevan and Donna Hole (names link to direct posts) had an equal number of votes. Deniz wrote about a 17th century king and his queen and Donna crafted a sensuous tale about a shape shifter and his submissive. Both submissions were equally well-written, and having gone through them again, there’s nothing to do but split the first place proceeds between both writers. Congrats, ladies. I’ll be contacting you. As always, I am amazed at what writers can come up with, given the same theme. Many thanks to those of you who took the time to participate and help me celebrate. Here’s hoping what you wrote can and will be expanded into a wonderful story. Congratulations Ciara! Great cover too. Three cheers to the winners. And may the Neumarian uprising be a success! I have already begun support of the uprising. I have a copy of Weighted. J. L. Campbell, you are awesome for braving the queen's wrath and supporting the uprising. Neumarians everywhere thank you. Thanks, Julie. I'm glad you like the cover. Thanks for uploading Weighted, Jo! More power to you and the Neumarians! Wishing you every success with the book. Great cover! Sounds like an exciting read. Got my copy of Weighted and entered the contest. I really like seeing new books getting such a push. Much success to Ciara! A mass uprising is underway! It's Ciara's turn to burn up the blogosphere! 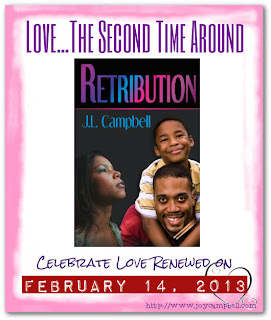 Congratulations to all the winners in your giveaway: Love... the Second Time Around Celebration! Ciara has taken over today. I love Ciara Knight's exciting release today! Yay! You're part of the upriseing! Thanks for dropping in on Ciara. Ciara is everywhere this week. I love the cover and the story sounds fantastic. I sent you email. I checked and saw your email just now. Congrats again.